What Room-dividing Doors Should I Choose? One thing that’s guaranteed to increase your enjoyment of your home is space – or at least, the impression of it. Whether you’re sitting in your living room or standing in your kitchen, life will seem just that little bit more pleasant if you’ve got room to spare on either side of you – even if you never actually make use of that extra room. Perhaps the easiest way to conjure spaciousness where none existed before is to break down the walls which divide rooms from one another, and replace them with doors that can be easily moved out of the way when they aren’t in use. Such doors are known as room-dividing doors, or roomfold doors, and in this article, we’ll examine them in closer detail. Interior room dividers come in several different forms, each with their advantages and disadvantages. Let’s examine them. Choosing where to use bifold doors is your first step. 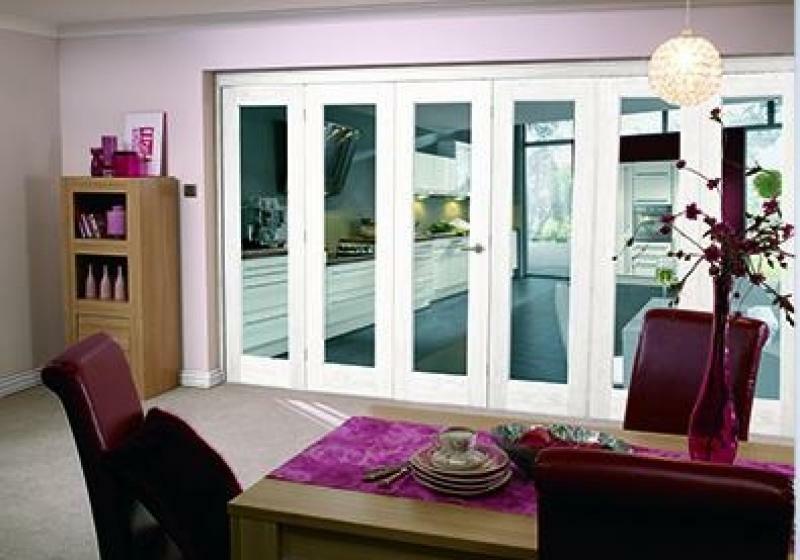 If you’re just looking to fill a smaller space, an internal single bi-fold door might be suitable. These sorts of doors are the same size as most of the other internal doors in the country – but they’re fixed to a pair of rails at the top and bottom, and come with a hinge in the centre. They’re usually found in cupboards, and can be opened easily in areas where space is at a premium. A multiple-panel bi-fold door takes the same formula and expands upon it. Rather than just two panels, a multiple-panel arrangement can comprise as many as six or more – but most arrangements comprise around four. They’ll serve as replacements for a wall, dividing one room from another, until they’re folded away to create a single large space. The rails found in smaller folding doors are crucial in the larger ones, as they prevent the entire door from swinging outwards, and help to support its considerable weight. On the other hand, we might instead look to the French door. This style has been around for centuries, and consists of a single set of double-doors, which incorporate a large amount of glass. This style was designed to allow light to flow through the homes of French nobles – and they’ll serve the same function in your home. When they’re used to divide one room from another, they allow large amounts of light to pass through, and help to boost that all-important sensation of space. If you can’t decide between a sliding door and a French one, then you might elect for a design that incorporates features of both. A sliding French door consists of folding, sliding panels fixed to a single plain of motion via a pair of rails. But it opens from the centre in the same manner as a set of French doors. This symmetrical approach is perfect for settings where you’d like to create a grand visual centrepiece. Finally, we might consider the stacking sliding door. These consists of two or more panels which slide behind one another to create an opening. They’re a popular means of dividing a home from a garden – but they’re also sometimes found on the interior of a property. French doors have been around since plate glass was first popularised centuries ago in France. One of their chief merits is the simplicity of their design – there is very little that can go wrong, and installation is relatively straightforward. By contrast, a multiple panel bi-folding door requires a little bit of thought during assembly – and there’s always the danger of a panel being removed from its rail by a sufficiently forceful yank. Of course, French doors have their limitations. The most obvious of these is their size – if you’ve space that’s twelve-feet-wide, you’ll need a door comprising multiple panels in order to fill it. And from this larger size comes other advantages – among these a greater quantity of light passing from one part of the house to the other, and a greater sensation of empty space in the building. If you’re looking to completely remove the barriers between two rooms, like a kitchen and a living room, then a large set of folding doors will offer a great deal more than a set of French doors. If your folding doors can be folded away to just one side, then you’ll have less of an obstacle interfering with your living space. The differences between a folding sliding door and a sliding one come down to the extent to which they can be collapsed. By design, a folding door can be compressed in a concertina until there’s virtually none of it left. They’re therefore easily stowed away to one side of the opening, allowing us to create a wider clearing. Some arrangements of bi-fold door might also come with a single door on one side, in order to allow us to move from one area of the home to another without going to the trouble of opening the entire thing. A traditional sliding door, on the other hand, will have panels slide behind another – either on a series of rails, or via an arrangement where the first door moves slightly back as it’s opened. The latter mechanism is the more complicated, and therefore the more prone to failure. Sliding doors are often preferred for exterior doors, as they allow us to put curtains on the interior more easily – as the door itself won’t expand as it’s folded away in the same way that a folding door might. It’s also possible to use larger panels in a stacker door – which might help you to achieve the desired look. Room dividers are an excellent means of adding a sense of expansiveness and flexibility to your interior – and yet choosing the right one might prove daunting. You’ll want to create a consistent aesthetic, and so choosing a door that’s fitting is important. If you have your heart set on a particular style of door, however, then don’t be afraid to go for it; you can always adjust the rest of your interior to match later on. 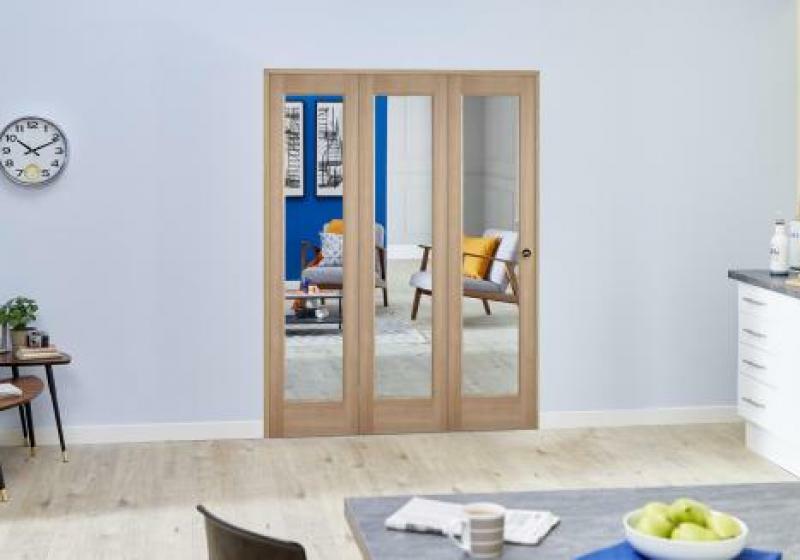 Which Internal Bifold Doors Should I Choose?